Over 1,000 visitors of all ages flocked to Stody Lodge Gardens on Sunday to enjoy the face painting, farmyard animals, traditional fete games on the lawn and treasure hunt throughout Stody Lodge’s stunning 14-acre rhododendron and azalea gardens. The fantastic weather made the spectacular colours in the garden even more magical for the hundreds of children who came to enjoy the many fun activities on offer. 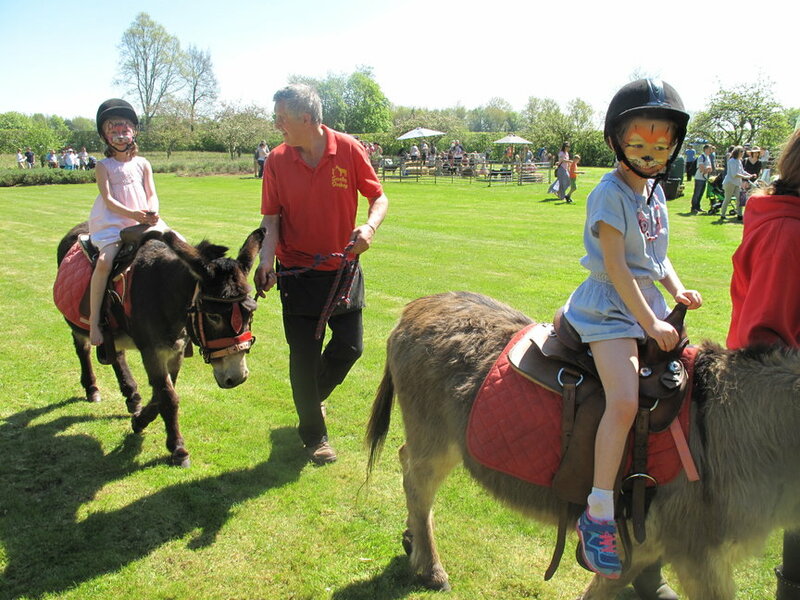 New for this year were rides by Scratby Donkeys which were hugely popular. Many beautiful fairy houses were also made in the new den making area led by Mandy Huntridge. Thanks to the volume of visitors and generous donations by many of those involved in the event, the day raised a fantastic £1,500 for The Holt Youth Centre which offers social, educational and training opportunities for young people in the Holt area.